Greetings all, my name is Brad Kostreva, roughly pronounced Brad Kerstereereesvo apparently – though mostly by my Uber drivers. Tim Rodman has been gracious enough to allow me to guest post here and there on his blog about my experiences using Acumatica, and some tips and tricks I’ve learned along the way, as well as perhaps some challenges that I’ve hacked through, or even could still use some advice, guidance, or sanity checks to overcome. “Now You’re Playing With PROCESSING POWER!” which is where I will discuss what happens when the data set is massive, and you need to find the balance between getting hyper-granular within the Generic Inquiries, let Power Query do the Heavy Lifting, or building more or less “clean” Data Models within Power Pivot and massaging from there. Also important in this entry will be a discussion on what the end users will be using. It’s all well and good for me as a Business / Data Analyst to have a tricked out 64 bit version of Windows and Office 2013 with more internal memory than a new iPhone… but what about our end users, and how will they be affected? “PowerBI – Stop it, You’re KILLING ME with Functionality!” which is where I get to basically play around with easily my favorite tool from Microsoft since Minesweeper. In the past six months, the functionality of the PowerBI.com site combined with PBI Desktop has blown me away in terms of what you can do in the SMB space for both self-service BI as well as coming off as a hero to the Execs with pretty pictures, relevant data, and actionable information. Acumatica has embraced this front end in a VERY smart move, I believe, to both extend the Excel Jockey’s toolset in the SMB space as well as show how easy integration can be. And don’t get me STARTED on Power BI Tiles for Office! The pieces are all in place. Acumatica is the ERP solution, Odata is the transport protocol, Excel is the analysis tool, and Power BI is the presentation. I’ll touch on all these and more (until Tim tells me he’s heard enough from me)! Credit where credit’s due – I’ve learned a TON from Tim himself and his journey as a Perpetual Acumatica Learner and here at TimRodman.com over the last year. If you’re not following him on Twitter or LinkedIn, get on that. Rob Collie’s DAX Formulas for PowerPivot (I own 1st Ed, but 2nd Ed is on its way) probably taught me more on constructing and combining data via DAX for Power Query and Power Pivot in a manner that is directly applicable to use cases. 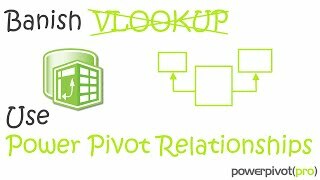 Between his and Avi Singh’s posts (as well as guest posts) on PowerPivotPro.com, they take that to the next level with up to date and timely information on the Microsoft toolset that unlocks the data in Acumatica and makes it usable. Microsoft’s Business Intelligence Team – If you’ve ever used PowerBI.com or the PBI Desktop and wanted or needed any help, they’ve been extremely responsive to customer input and feedback, as well as assistance should you ever click the “frowny face” in the applications. So look for these and other posts from me on occasion here at TimRodman.com! 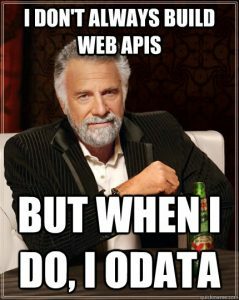 Also, feel free to follow me on Twitter or LinkedIn. Thanks, and don’t hesitate to shoot a comment or two below with ideas or suggestions for a blog post or two as well!